Fossil Display Stand with free engraving on black plate up to 2 lines. Base is about 4.5″ wide by 3.5″ deep. Free custom engraving plate up to 2 lines. 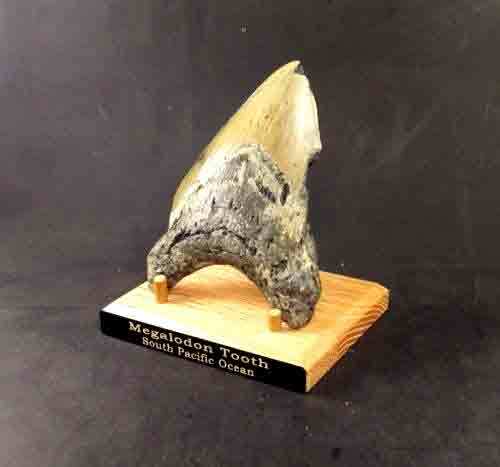 One fossil display stand that can support megalodon tooth, variety of fossils, rock slabs and many more. These displays are solid wood. You can choose from oak (light) display or walnut (dark) display. Bases are about 4.5″ wide by 3.5″ deep. Large dowels are abut 3″ tall and small dowels are 1″ tall. These stands have interchangeable, removable dowels that allow you to have two types of support. 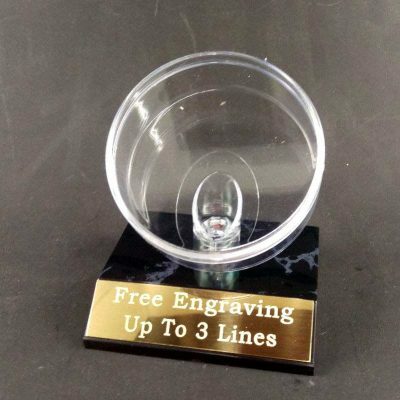 Display comes with black custom engraved plate with up to 2 lines of engraving.